This just in from our friends at PartCatalog.com. 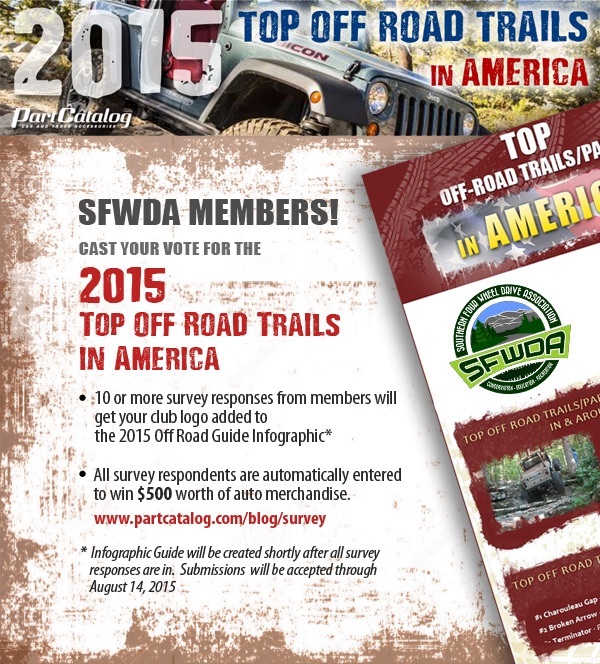 Time for 2015 "top trails" voting. We're also giving away $500 worth of auto merchandise, which you're automatically entered to win just for voting. Let me know, and Thanks again for y'alls participation last year!